While some areas of the country are beginning to see a recovery in the housing market, many homeowners saw the value of their homes decline during the last recession. If you're thinking of selling, realtor commissions can add up to thousands of dollars and further reduce your gain from the home. One way to recover some of your home's lost value and save on home sale costs is to sell FSBO, or For Sale By Owner. Determine your home's value. 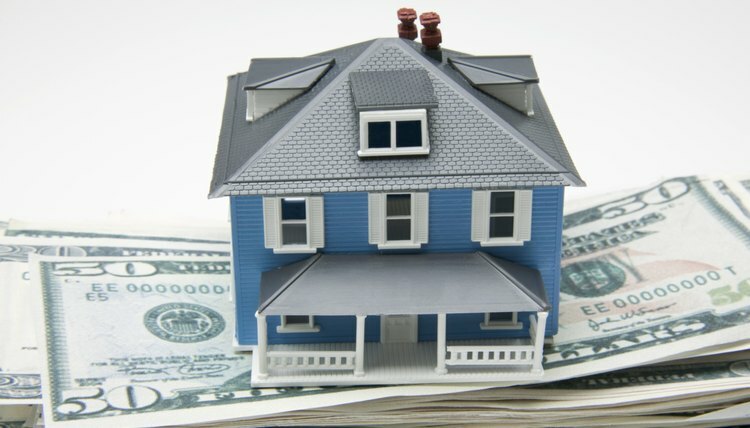 The most important step in a FSBO sale is deciding what your home is worth. Most realtors are happy to do a market analysis of your home for free, even if you indicate that you may choose to sell by owner. While they perform this service with hope that you will choose them to represent you, there is no obligation. You can research recent home sales on local brokers' real estate sites, as well as sites like Zillow.com, Trulia.com and Homes.com. You should also research comparable homes that are currently for sale, both on the Multiple Listing Service (MLS), your local newspaper and For Sale By Owner sites. Compare your home to recently sold homes and make adjustments for your home's location, condition and appeal. With a few local and online resources, you should be able to price your home accordingly. List your home on the Multiple Listing Service (MLS). For a flat fee, some companies will put a FSBO home on the MLS, where it will gain the widest exposure to potential buyers. Buyers will contact you directly, and you will handle the showings and sale negotiations. National sites like Owners.com and ForSalebyOwner.com, as well as local sites, will provide you with advice, necessary forms and other resources to help you sell your home. Advertise your home. 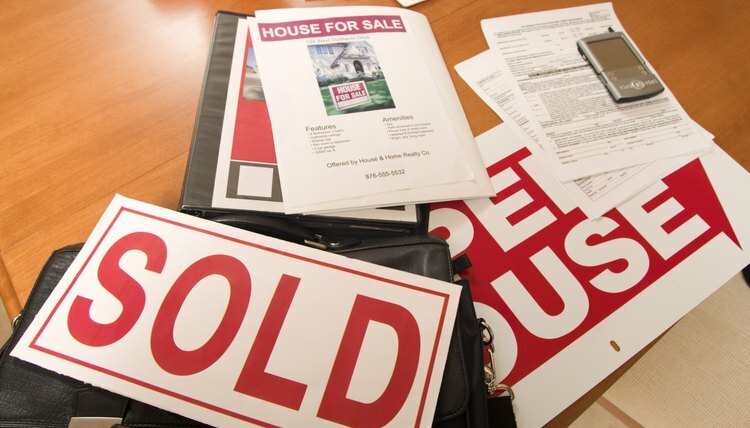 Whether or not you decide to list your home on the MLS, you will need to advertise. 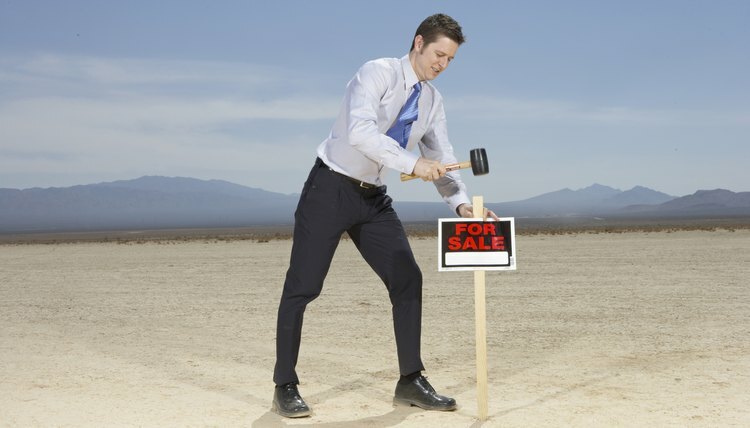 A "for sale" sign post is very important and you can rent one from a local company. The post should hold a brochure box that contains flyers with the price, photos of the house and contact information. Putting up flyers in your local cafe, grocery store or library also might bring you a buyer. An ad in your local paper is another option. Be aware of upfront advertising expenses and the amount of time involved in selling your own home. Be cautious about who you allow into your home. Make sure they are accompanied by their real estate agent. Declutter your home before showings. Eliminate smoke odor nad any other unpleasant odor before listing your home. A writer, artist and teacher, Cheri Brubaker has been a regular contributor to "The Clayton Tribune," a weekly newspaper in Northeast Georgia, writing on topics ranging from education to real estate market conditions. She holds a bachelor's degree in liberal arts from Columbia College.